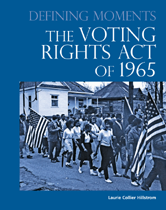 Provides a detailed account of the events that led to the Voting Rights Act of 1965. Explores both the racial discrimination and violence that pervaded the South and the civil rights protests that changed American voting rights. Chapter Two: Boycotts, Sit-ins, and Freedom Rides.